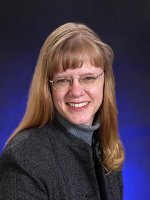 Pacific Northwest National Laboratory's Dr. Kelly O. Sullivan was elected to the Governing Board of the Council for Chemical Research. She will represent the Laboratory on the board. The Council for Chemical Research, headquartered in Washington, D.C., promotes cooperation in basic research and encourages high-quality education in the chemical sciences and engineering. The Council's membership comprises more than 200 companies, universities and government laboratories with a combined research and development budget of more than $7 billion. Sullivan, who leads the Laboratory's Office of Institutional Partnerships, already was active in the Council for Chemical Research before receiving the current board appointment. She serves on the Council's Annual Meeting Planning committee and co-leads the Graduate Education Action Network. At PNNL, Sullivan is responsible for developing and maintaining collaborations and partnerships with colleges, universities and other research institutions that help the Laboratory achieve its missions for the nation and the world. Sullivan also serves on the Board of Directors for Sigma Xi—the Scientific Research Society, and was a member of the National Innovation Initiative team assembled by the Council on Competitiveness, among other national leadership roles.